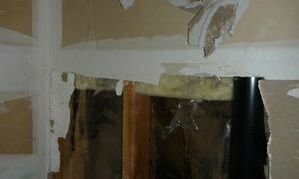 Solving all of the various difficulties and challenges that arise whenever there is a pipe burst, ceiling leak, or water heater failure, is the forte of our water damage Sandy Springs team with 911 Restoration Atlanta. Our masterful technicians know that the most effective way to mitigate the losses that can be experienced in these situations is to get to the site fast. To do so, our experts are strategically mobilized for maximum effect, and they can even arrive within 45 minutes of your call no matter what. Moreover, we are also available 24/7/365 so even if a nightmarish pipe bursts above your bed in the middle of the evening, we can be there fast to take care of it for you. If your stylish pad is already dealing with a flooding scenario of some sort, then don’t wait another minute to contact our water damage Sandy Springs team with 911 Restoration Atlanta for help today! Our specialists know all there is about the world of water damage rejuvenation, and that is why we have grown to become the go-to source for services in the area, but they are also regularly asked about ways to prevent damages too. Inspect the hoses and the fittings on the connection points that link up your water-based appliances to the main lines. These are easy to replace and they are much cheaper than a water damage incident. From time to time, give yourself a minute to look at the exposed pipes around your property to spot any corrosion or rusting that may indicate a section that needs to be replaced. Never let any tree branches or roots invade the thoroughfares of your home. This means to trim the dead branches to prevent falls onto your roof, and the roots to prevent ruptures in your subterranean pipes. Clean out your gutters at least once a year to make sure that you avoid any clogs and other obstructions which may lead to overflows and potentially ice dams. There are a plethora of ways to protect your home from the effects of water damage, and this is not a finalized list, so if you have concerns that aren’t addressed here, be sure to give us a ring for more information. Don’t let your amazing home succumb to the effects of a pipe burst, water heater loss or any other means without help from the best. 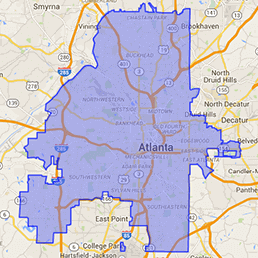 Contact our water damage Sandy Springs team with 911 Restoration Atlanta for help today! Our experts have seen and solved all different kinds of water damage scenarios in our time in this business, and that has allowed us to become the trusted source for solving even the most difficult projects that exist. When our technicians get to the site of our situation, we will begin by assessing what has occurred, and they we will come up with a viable game plan for solving everything as fast as possible. We make sure to always put the customer first with every project that we endeavor, and we are totally dedicated to professionalism as well. Beyond our dedication to customer satisfaction, we also make sure that the details are taken care of too. Our experts will even help fill out and file the insurance company paperwork for you so that you don’t have too much chaos to deal with all at once. If your home is already flooded, or if you have questions about how to avoid it, then contact our water damage Sandy Springs team with 911 Restoration Atlanta for immediate help and a fresh start today!